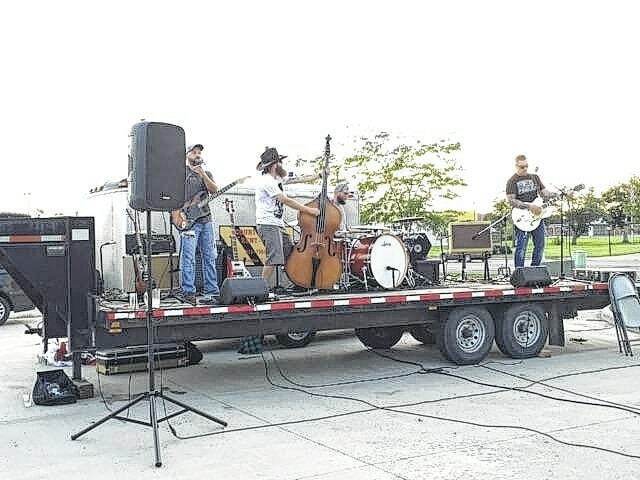 Hospice of Fayette County held its third-annual block party at Streetside 62 in Washington C.H. Saturday. The event began at 6 p.m. and continued until midnight. Thanks to sponsorship from table sponsors Halliday Lumber, WCR, East Ambulance, YUSA, Walmart Distribution Center, Morrow Funeral Home; business sponsors Deskins Concrete, EZ Oil Change, Fayette Pharmacy, Parrett Insurance, Trends, 9Rounds, Melvin Stone Company, Carroll Halliday Ford Lincoln Inc., Herron Financial Group, Shane McMahan State Farm Insurance, Sunshine Laundry & Dry Cleaning and Showplace Furniture as well as the support of the community coming out to enjoy a wonderful dining experience at Streetside 62, Hospice of Fayette County will be able to continue its mission by never billing a patient or family for end of life care. 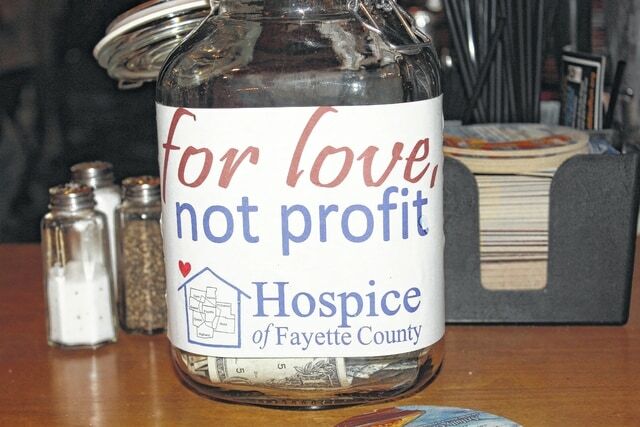 Streetside 62 donated $1 per drink and $2 per food item to Hospice of Fayette County. Jeff Detty won the 50/50 raffle and chose to donate the money back to Hospice. 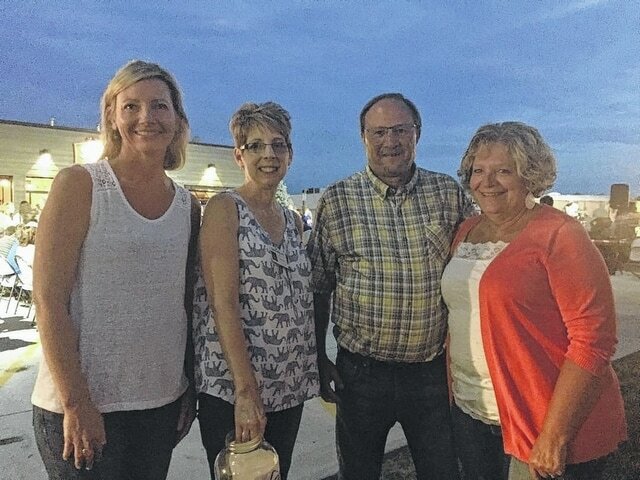 Pictured (L to R): Holly Cottrill, marketing and fundraising coordinator, Lynda Wilt, executive director, Jeff Detty and LuAnn Detty. 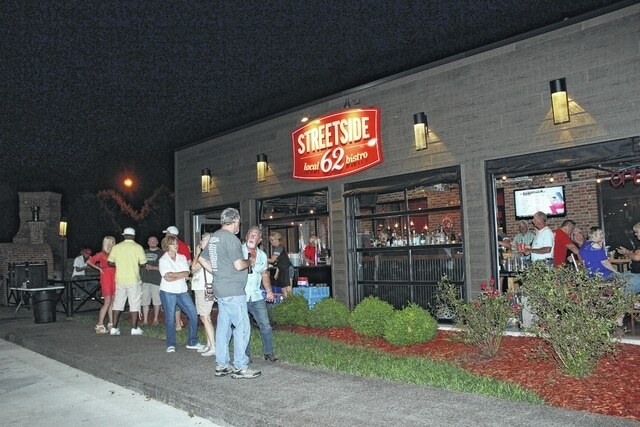 Matt Pettit, owner of Streetside 62, donates the use of his restaurant and money from sales to Hospice every year for the event. 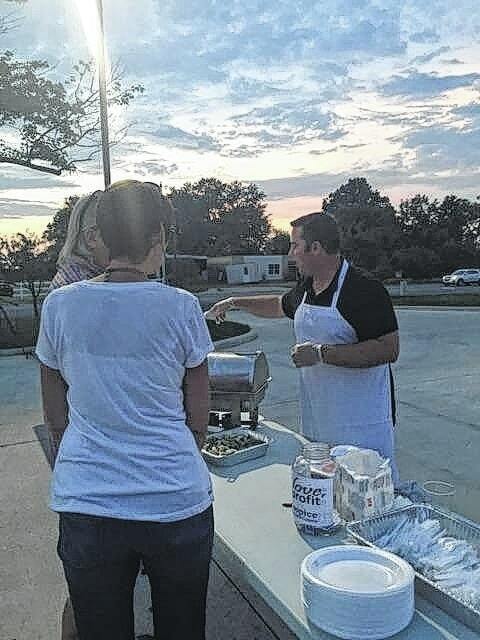 He is pictured here serving food to residents who came out to support Hospice. 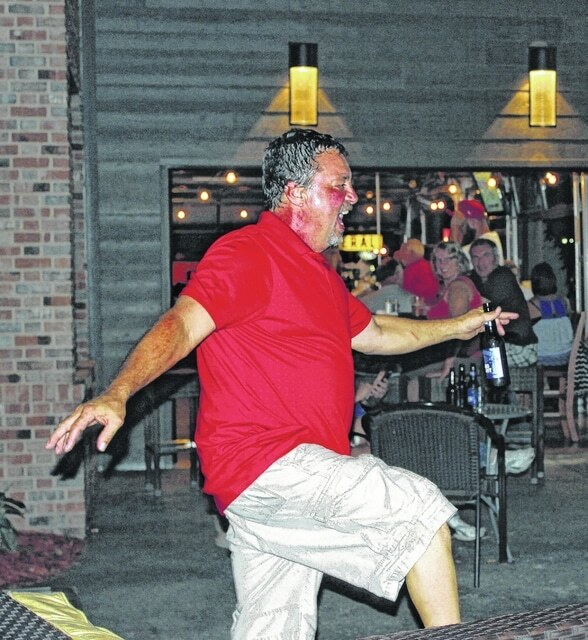 Johnny Lawless took the stage at 7 p.m. and entertained the crowd. 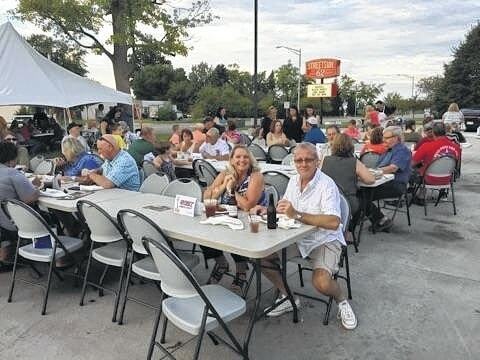 Residents filled the outdoor seats and enjoyed a delicious meal to support Hospice of Fayette County.